The Hotel Dream Land is located by the side of the main NH 58, at Bahadrabad at gateway of Haridwar, with lush green, neat and clean surrounding. Hotel Dream Land provides a peaceful pollution free environment with panoramic view to holy river Ganga canal. Note: The Hotel Dream Land is not in the main Haridwar or near ghats but it provide good living experience to travelers with ample of parking space (which is hard to find in Haridwar). To serve the travelers best the Hotel provides pick and drop from Haridwar Railway Station and Bus Station. Also the daily pick and drop and local sightseeing in Haridwar and Rishikesh. 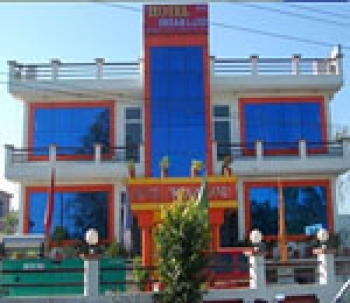 Hotel DreamLand is located near BHEL Tiraha in Bahadrabad close to BHEL, SIDCUL, and Patanjali Yogpeeth. The hotel is just 8 Kms from Haridwar bus stand and Railway station. Har ki Pauri is 10 kms, Rishikesh is 46 kms and Mussoorie is 110 km from the hotel. From hotel SIDCUL is 2 kms, Pantagon Mall is 1.5 kms and Patanjali Yogpeeth is 3 kms only by road. The rooms of the Hotel Dreamland have elegant and stylist decor with classy furniture. The rooms have all the modern facilities to make your stay comfortable. 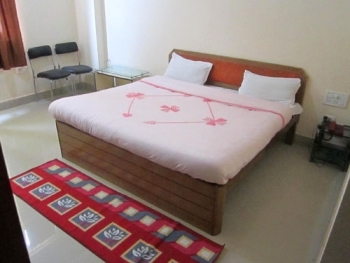 There are 3 types of rooms: Super Deluxe Rooms, Deluxe Rooms and Standard Rooms. All the three types are essentially equipped with air conditioner, LCD/TV, internet provision and telephone. The tariffs are readily affordable. All rooms with Attached Bath, Running Hot & Cold Water, Telephone ,LCD with Satellite Channels. There is multi cuisine restaurant name - Hot Spice Restaurant which specializes in preparing all sorts of delicious vegetarian dishes and serves Continental dishes, Chinese dishes, and almost all types of Indian dishes. - Adventure wildlife, river rafting, camping, trekking, rock climbing and yoga and meditation etc. The Hotel Dream Land also offers special privileges to the discerning Business traveler. Business Club floor with an exclusive lounge attached, serves as a delightful rendezvous for the like-minded. Complimentary breakfast, happy hours and Wi-fi Internet Connectivity for Lap Top Computers make the business Club lounge an exclusive place for Business Room Guests. Corporate Business Events and meetings can be arranged professionaly with the whole range of comprehensive business facilities. Organize business meetings or conferences at the well equipped business center of the hotel. Boardroom and Our Staff is ideal for accommodating about 12 to 60 people, however for larger corporate gatherings Hotel Dreamland is a better option. By Flight: The nearest airport is Jolly Grant 38 kms from Hotel Dreamland Haridwar. There is a daily flight to Delhi the nearest International Airport. By Train: Haridwar is a terminus of the Northern Railway with direct trains to almost all the metropolitan cities of India. The Shatabdi Express is the best option for the tourist coming from Delhi. Haridwar Railway Station is just 8 kms from hotel. By Road: There is a regular Bus services from Delhi to Haridwar. Distances of some major cities from Haridwar are Agra 381 km, Calcutta 1562 km, Chennai 2365 km, Delhi 252 km, Jaipur 493 km, Lucknow 582 km and Mumbai 1578 km.